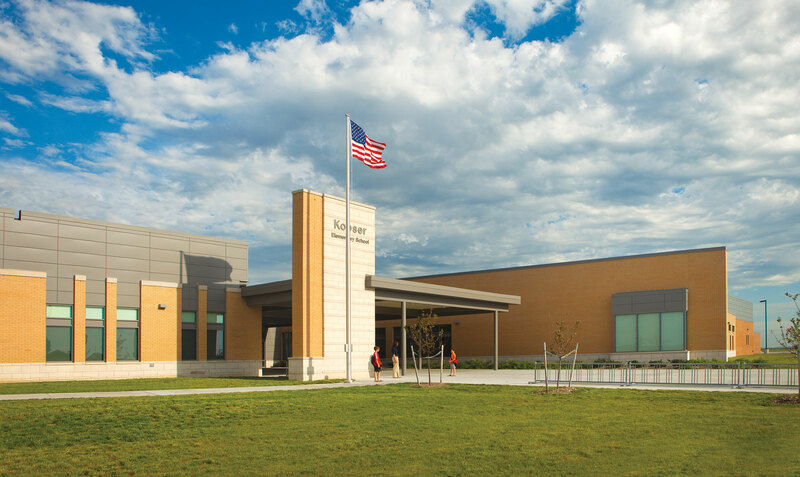 Nestled in the hills of northwest Lincoln, Kooser Elementary School provides 95,000 SF of exceptional learning space for students from Kindergarten through fifth grade and early childhood special education programs. 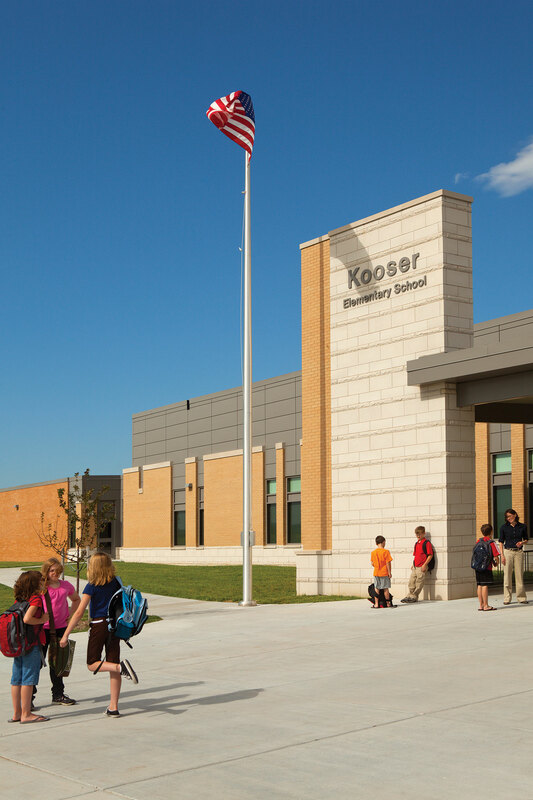 Located on 15 acres adjacent a residential development and public park, the Kooser Elementary site includes recreational fields, play grounds, staff and visitor parking, and student drop off lanes. 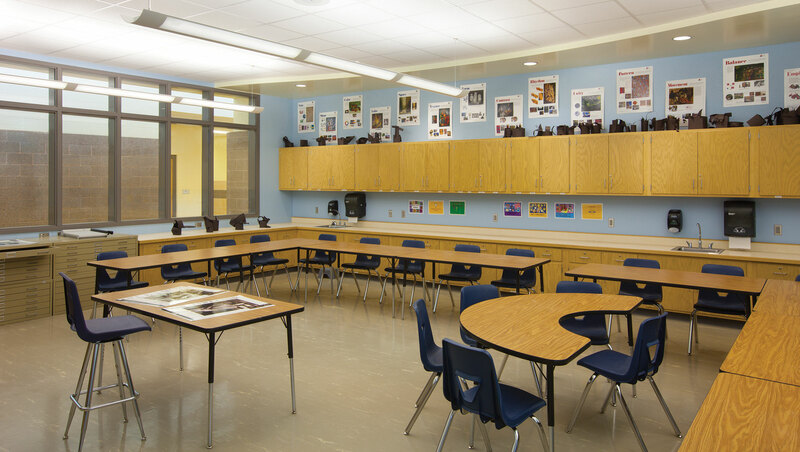 The primary design objectives included providing a more secure building than Lincoln's existing schools and creating a flexible space layout to meet both school-day activities as well as after-hours community programs. 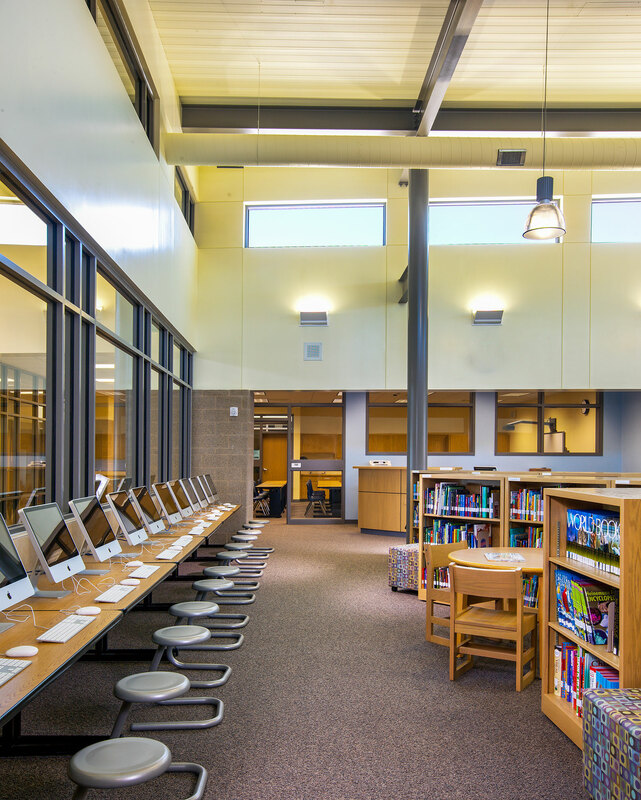 Designed for a student capacity of 800, the arrangement of public and private spaces were thoughtfully organized to increase the level of security in the building through physical separation of program uses.